The book first offers information on the prospecting methods, sampling, and valuation. Discussions focus on preliminary systematic prospecting, drilling in difficult ground, supervision of drilling, rate of excavation, pitting and drilling compared, sampling of bore holes, and calculation of reserves. The publication then examines water supply, including earth dams, spillways, leats, ditches, or canals, and design of pipelines. The manuscript ponders on sluicing and dry concentration of minerals. Topics include rock pavements, undercurrents, false bottoms, glean up, tailings, ground sluicing, water required, exploitation of plants, electrostatic separation, and high intensity magnetic separators. The book also reviews forward preparation of overburden, hydraulic mining, and gravel pumping. 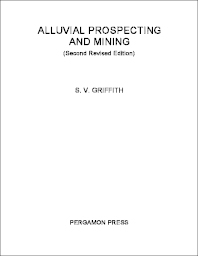 The publication is a dependable reference for miners and readers interested in alluvial prospecting and mining.